Another name for Anonymous International is Shaltai-Boltai, Russian for "Humpty-Dumpty." The alleged leader of the Anonymous International hacker group, also known as Shaltai-Boltai, has been arrested along with important officials in the security services who collaborated with the group. For several years Shaltai-Boltai terrorized state officials, businessmen and media figures by hacking their emails and telephones, and threatening to post their private information online unless blackmail payments were made. "The price tag for our work starts at several tens of thousands of dollars, and I am not going to talk about the upper limit," said a man who calls himself Lewis during an interview with the news website, Meduza, in January 2015. Lewis, whose name pays hommage to the author Lewis Carroll, is the leader of Anonymous International, the hacker group specializing in hacking the accounts of officials and businessmen. 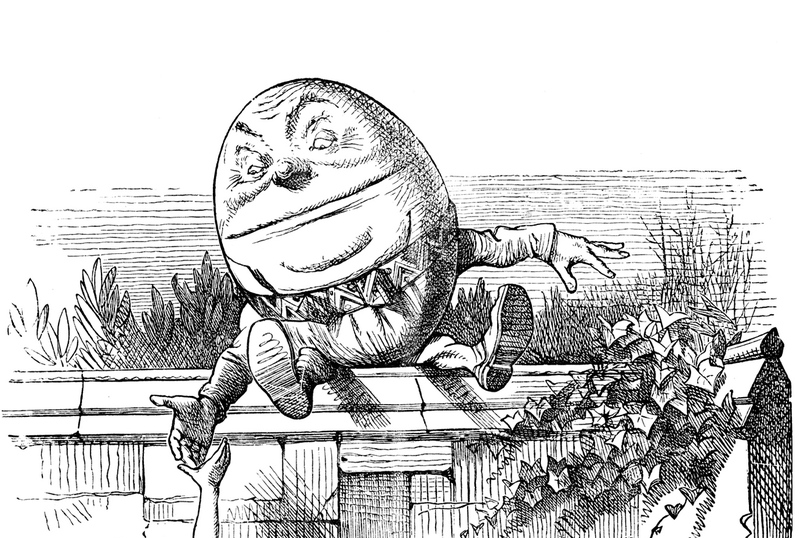 Another name for Anonymous International is Shaltai-Boltai, Russian for "Humpty-Dumpty." Several years ago Lewis and his colleagues prospered thanks to extortion. They offered their victims the chance to pay a handsome price to buy back their personal information that had been stolen. Otherwise their information would be sold to third persons and even posted online. In the end, Russian law-enforcement tracked down Lewis, and in November he was arrested and now awaits trial. His real name is Vladimir Anikeyev. "One's own success is good but other people's failure is not bad either," said the profile quote on Vladimir Anikeyev's page on VKontakte, Russia's most popular social network. Rosbalt news website said that in the 1990s Lewis worked as a journalist in St. Petersburg and specialized in collecting information through various methods, including dubious ones. "He could go for a drink with someone or have an affair with someone's secretary or bribe people," Rosbalt's source said. In the 2000s Anikeyev switched to collecting kompromat (compromising material). Using his connections, he would find the personal email addresses of officials and entrepreneurs and break into them using hackers in St. Petersburg, and then blackmail the victims. They had to pay to prevent their personal information from ending up on the Internet. Rosbalt said that when Anikeyev's business reached national levels, he started using new techniques. For example, Anikeyev would go to restaurants and cafes popular among officials, and with the help of sophisticated equipment he created fake Wi-Fi and mobile phone connections. Unsuspecting officials would connect to the network through the channel created by the hacker and he would have access to the information on their devices. In the beginning Anikeyev was personally involved in the theft of information but later he created a network of agents. The business grew quickly; enormous amounts of information were at Anikeyev's disposal that had to be sorted and selected for suitability as material for blackmail. In the end, according to Rosbalt, Anonymous International arose as a handy tool for downloading the obtained information. The second name of the group refers to the works of Lewis Carroll, according to Shaltai-Boltai members. The crazy world of Through the Looking Glass, with its inverted logic, is the most apt metaphor for Russian political life. Apart from Lewis Anikeyev, the team has several other members: Alice; Shaltai, Boltai (these two acted as press secretaries, and as a result of a mix-up, the media started calling the whole project, Shaltai-Boltai); and several others, including "technicians," or specialist hackers. The Anonymous International website was opened in 2013 and content stolen from the phones and emails of Russian politicians immediately started appearing on it. According to Life News, only the correspondence of the public officials and businessmen who refused to pay was published. At the same time members of Shaltai-Boltai positioned themselves as people with an active civil stance. "We can be called campaigners. We are trying to change the world. To change it for the better," Shaltai told the Apparat website. In interviews members of the group repeatedly complained about Russian officials who restricted Internet freedom, the country's foreign policy and barriers to participation in elections. Shaltai-Boltai's most notorious hack was of an explicitly political nature and not about making money. It hacked Russian Prime Minister Dmitry Medvedev's Twitter account. On Aug. 14, 2014 tweets were posted on the account saying that Medvedev was resigning because he was ashamed of the government's actions. The `prime minister’ also had time to write that Putin was wrong, that the government had problems with common sense, and that the authorities were taking the country back to the past. On the same day Anonymous International posted part of the prime minister's stolen archive, admitting that, "there is nothing particularly interesting in it." "The posted material was provided by a certain highly-placed reptilian of our acquaintance," the hackers joked. Medvedev is far from being Shaltai-Boltai’s only victim. The hackers published the private correspondence of officials in the presidential administration: Yevgeny Prigozhin, a businessman close to Vladimir Putin; Aram Gabrelyanov, head of the pro-Kremlin News Media holding company; and of Igor Strelkov, one of the leaders of the uprising in east Ukraine. Lewis, however, insisted that only material that had failed to sell ended up on the Internet. Anikeyev was detained in November, and the following month Sergei Mikhailov, head of the 2nd operations directorate of the FSB Information Security Center, was also arrested. According to Kommersant, Mikhailov was a major figure in the security services who, "was essentially overseeing the country's entire internet business." Mikhailov’s aide, FSB Major Dmitry Dokuchayev, and a former hacker known as Forb, was also arrested. Shortly after, Ruslan Stoyanov, head of the department for investigating cybercrime at the antivirus software company Kaspersky Lab, was also detained. Stoyanov also worked closely with the secret services. According to Rosbalt, Anikeyev revealed information about the FSB officers and the Kaspersky Lab computer expert and their close involvement with Shaltai-Boltai. Mikhailov tracked down Anonymous International at the beginning of 2016 and decided to take it under his control, as well as make some money from blackmail along the way. According to Life News, there is another theory - that Mikhailov had been managing the Shaltai-Boltai business from the start. Whatever the truth, Mikhailov and Dokuchayev have now been charged with treason. Anikeyev and Stoyanov will be prosecuted under a different charge - "unauthorized access to computer information." According to Rosbalt, the treason charges against Mikhailov and Dokuchayev are to do with Anonymous International’s involvement in leaking to Ukraine the private correspondence of presidential aide Vladislav Surkov. Shaltai-Boltai’s website has not been updated since Nov. 26 and its Twitter account since Dec. 12. The group’s remaining members, who are believed to live in Thailand and the Baltic States, have been put on an FSB wanted list. Anyway, Shaltai-Boltai anticipated this outcome. "What awaits us if we are uncovered? Criminal charges and most likely a prison sentence. Each member of the team is aware of the risks," they said dispassionately in the interview with Apparat in 2015.